“Whoever invented A/C is getting a shrine on my wall,” said this airconditioning-loving, food-fanatic, tennis-devoted writer. Shruthi is a senior at Jefferson and has been a part of TJ Media for three years now. Shruthi’s passion for writing has only become more intense through the years. She especially enjoys writing about teachers and their perspectives on certain topics. "When you're on the other side, you have a student and their teacher, there's a separation there. But when you're interviewing them, as a person, you find out that teachers are actually really cool people,” she says. 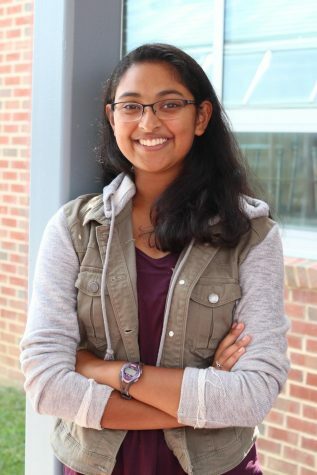 Once upon a time, Shruthi wished to be an FBI investigator, but now strives to go into the fields of medicine and computer science. She is a complete foodie and wouldn’t be able to survive without her mom’s alfredo broccoli pasta. In the end, Shruthi is just happy to have made space for Journalism in her schedule and to be an active part of tjTODAY.